This week’s guest has to be my favourite of all. He’s my Cuban coffee in the morning that gets me going. 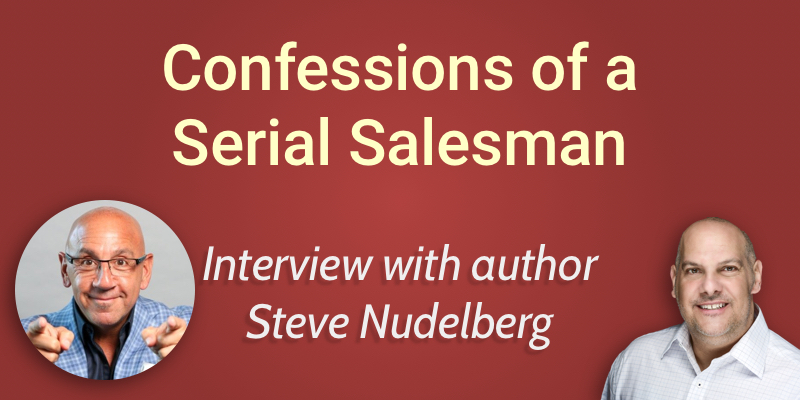 We invited Steve Nudelberg back onto the show to talk to us about his new book, “Confessions of a Serial Salesman: Rules of Engagement for Leaders and Influencers,” and what we can learn from it. Steve Nudelberg is a serial salesman & entrepreneur. As a product of his entrepreneurial spirit, he developed On the Ball – a company that focuses exclusively on sales & business development. Inspiration for the company name was derived from the feedback Steve received from business associates, claiming that he was always ‘on the ball’. Super excited for what we can learn from Steve this week, so let’s dive right in. What other rule in the book gets the most traction? What are people going to learn from reading “Confessions of a Serial Salesman”? Steve describes “Confessions of a Serial Salesman” is a way to live your life. He is a student of the game and has been in sales for 40 years, and in putting together this book he gathered the best of the best from the industry to create the ultimate process for successful people. Steve is proud to have had his son write the foreword for the book – who has lived his life by this process and has seen tremendous success in his career as a college football coach. What is the difference between a good business relationship and a good relationship? None. People who focus on specific aspects of the process of selling are generally the least successful, observes Steve. Especially today when everything is so transparent – people buy you long before they buy your product or service. If you don’t get along well with a prospect in your first interaction, you’re going to struggle to do business together. But when you do make those good connections, sales is a lot of fun – because the richness is not just the sale, it’s the long term relationship and opportunity to help other people to be successful. In many relationships, you may not end up getting a direct sale, you may just be a friend or a resource to them. And that can lead indirectly to a sale down the line through referrals. Strong relationships are central to that. In this era of many young people struggling with self-confidence, how do men and women grow great as Steve talks about in the book? In a world where so much of our work life and even personal life is online, young people aren’t getting hands-on, face-to-face sales experience with retail or sales veterans. The president of Steve’s company is 30 years old and started in the company at the age of 23 as an intern to learn on the job. That form of training is critical, practical learning that takes time and patience and can’t be replicated with any form of online training. It is a slow path to mastering the craft. The way people are being trained now – both young and old – is often in a transactional mentality. The relationships method of selling requires a different kind of training, the basics of which are discussed in Steve’s book. If you are targeting the C-suite, not having those relationship skills is going to stifle your career progression as those soft skills that have to be learned through experience, are critical to success. Learning about people before you meet them gives you the opportunity to find common ground that can be a topic of conversation when you meet. The longer you are able to have a conversation and enjoy one another’s company without mentioning your product or company, the more likely it is that you are going to be able to do business together. Finding out where someone went to school, what their interests are, what their sports teams are, you are able to find shared passion and become ‘their guy’, as Steve puts it. Most successful people wake up early, says Steve. Of course, early means different things to different people. But he gives the example of a client he did business with who would send him emails at 3 A.M.
Steve asked him why he got up so early. The client’s reply was that most people consider early to be between 5-6 A.M. and so he figured if he woke up an hour earlier than them he would outwork them by 30 hours per month – another week of work every month over his competition. Consistently being the first in his clients’ inboxes since that moment has proven to be a huge asset to Steve throughout his career. It says to people who he is and what he is. There are also very few interruptions early in the morning, which allows him to be very productive. Steve now wakes up without an alarm between 3-4 A.M. every day. Not everybody has to do this, but even adding 30 minutes to your day, every day, will benefit you tremendously each month. Rule number 21 – Tell Me Something Good. This is the number 1 takeaway for many people that Steve has delivered his presentation to on this subject. People are programmed to meet each other with the phrase, ‘hey how are you?’ The response to this question is often very negative as they share their problems with you. And you then have to move from a negative start to the conversation to a positive one. Steve asks, why do that? He’s reminded of the Chaka Khan song ‘Tell Me Something Good,’ and instead starts the conversation on a positive note. It’s a fantastic conversation starter that gets things off on the right food in the right frame of mind. You want to be able to make people feel good enough that every time they see you they want to be around you so they can feel that good every time. – Chris Cebollero. The book contains 27 rules of engagement for you to try and see how they work for you. The two greatest validations of this system are Steve’s son who at 30 has been one of the fastest rising college football coaches and the president of his company who started with him when he was 23. The greatest athletes in the world have coaches to help them see blind spots. The book is a system based on Steve 40 years of experience in the business that provides a structure to help you observe those blind spots and guide your actions as you develop through your career. It’s a toolbox to deal with the day-to-day rejection of being a sales person and be successful. You can sign up for the book at Nudelberg.com. Today we bring back one of our favourite guests, Charles A. 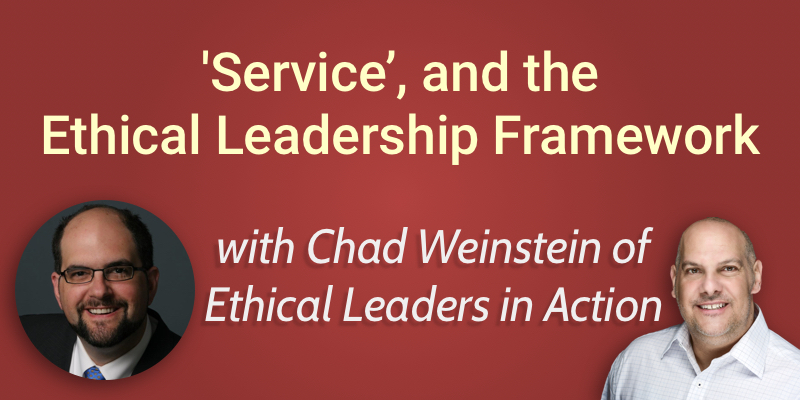 “Chad” Weinstein, to continue our series on an ethical leadership framework. Weinstein is president of Ethical Leaders in Action, LLC., and author of Thinking Aloud: Reflections on Ethical Leadership. Ethical Leaders in Action (ELA) provides leadership development, education, and strategic consulting services to public safety, health care, and business organizations. Weinstein is a frequent presenter at conferences, seminars, and events. He is community faculty member of the Metropolitan State University School of Criminal Justice and Law Enforcement. Weinstein also serves on Mixed Blood Theatre’s Board of Directors. Weinstein’s formal education is in ethics, but his experience – and orientation – is as a business practitioner. He recognized early on that while most of business ethics is concerned with constraining bad behavior, its failures in that respect continue to make headlines. He believes that our ethical traditions are much broader, teaching and urging us to work and live in ways that are both meaningful and productive. Ethical leadership is the critical factor. Weinstein’s work is primarily oriented toward helping leaders foster that broader sense of ethics and effectiveness in their work, in pursuit of ELA’s mission: Empower ethical leaders to achieve extraordinary results. How does Service fit in with all the other virtues in the ethical leadership framework? How does Justice correlate with Courage? Virtues tend to have moderate points between extremes. So what would the extreme of Service look like? Is the virtue of Service all about will or skill? What skills or abilities are involved in being of service? 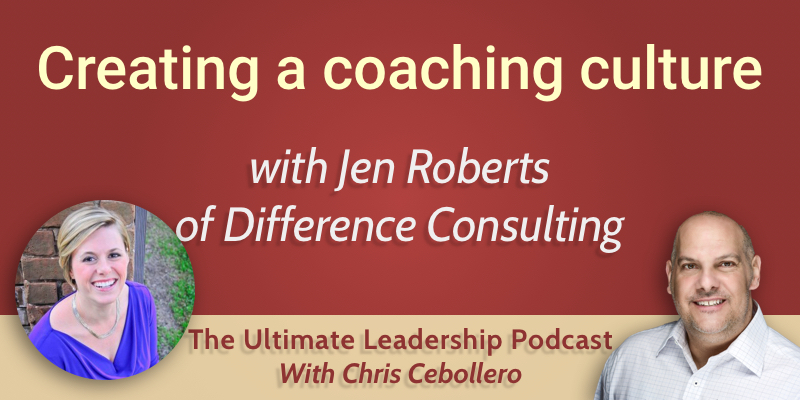 As leaders, how can we cultivate a culture of Service? What are the challenges to exhibiting the virtue of Service? By building these qualities in ourselves like muscles, we can become more effective at bringing out the best in others. If we are Courageous as leaders, we know we are willing to do what it takes even when leading is scary or difficult. If we are Creative, we’re committed to making things better when that is the right thing to do. If we are Clear, we have a vision and direction, we use data effectively and we are understanding the challenges put in front of us. Service is the commitment and ability to do something for someone other than ourselves. It is one of the qualities that we cultivate to become more effective as ethical leaders over time. Service can be broken down into components. The quality of altruism: Is it important to you to give to others and make the world a better place? The capacity for empathy: It’s important to be able to put yourself in other people’s shoes and understand their perspectives. The quality of justice: People that are committed to Service are also committed in part to making sure that people’s rights are protected, that human beings are treated with their due respect. Respect is fundamental. It is what you accord other human beings. Never confuse respect with affection or admiration. You get to choose who you like and admire, but you don’t get to choose who you respect. The virtue of service hinges in part on a fundamental recognition that all human beings have value. All these virtues are interrelated. For example, if you are being Courageous in a given scenario, but not Competent, you could be about to make a big mistake. 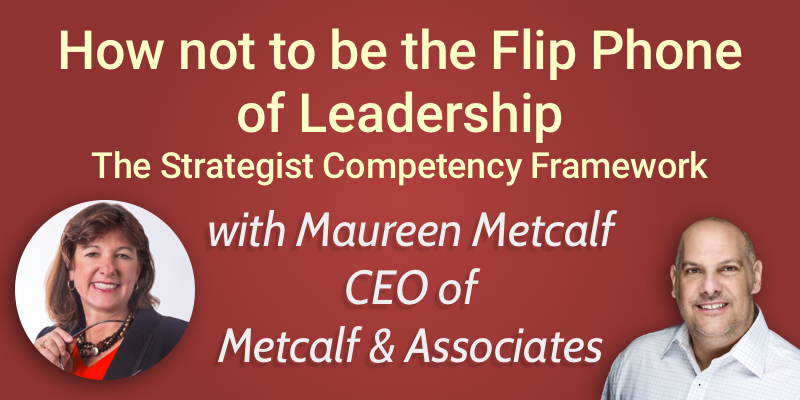 So you can’t operate from just one of the virtues within the framework to be an effective leader. Service mixes with all the other qualities to guide what we’re doing. Chad believes they go together like hand and glove. One of the reasons that injustice exists in the world is because there is a lack of courage to stop it. When we understand what is right, fair, or just, it may be very difficult to act in accordance with that awareness. And that is where courage comes in. The Greeks strongly believed in the doctrine of the mean – that what was right was in between the extremes. You could say with Service, how could you have too much of it? Chad believes you can. One way would be if you are acting from Service to the point that you deplete yourself. You have in essence demonstrated an excess of the virtue of Service. It becomes unsustainable and self-defeating. Similarly, we can be so motivated by Service that we can forget some of the other virtues that are a part of the framework. For example, in an attempt to be helpful we can venture into an area where we’re not competent instead of finding someone who is. Chad believes strongly that all of the virtues involve both will and skill. In this instance, there is more will than skill. But nevertheless, there is skill involved. For example, some people are unable to listen to the desires and requirements of the people they are looking to serve. So despite the best intentions to display the virtue of Service are not able to effectively deliver it. It is primarily about having the desire and commitment to providing Service, but you also have to be good at it to some degree. First of all, we have to know ourselves, our strengths and our shortcomings. Secondly, we have to understand the people that we’re working with. We also need to invoke the virtue of Clarity. To have a vision for what we’re doing and why. And we may need some of the fortitude of Courage to push through even when it gets hard. The ability of Service meshes with all the other virtues in the framework. A perception of scarcity can be a real barrier in our ability to be of service to others. Feeling as though we don’t have enough resources or time to meet our own needs, and this can bar us from giving that time to the service of others. Another challenge is our lack of connection to other people. It is easier to be of service to someone we know than someone we don’t. It can be very difficult to reach across differences, distances, cultures, communities to really be of service to others. It’s important to maintain and reinforce a sense of purpose within your organisation. Leading by example and staying true to a vision statement and your purpose as a business to serve others. Sebastian Junger wrote a great book recently called ‘Tribe’ in which he looks at how the experience of veterans can help all of us see the benefits and the power of feeling connected to a group of people. He points out that in some respects in our society, we don’t have adversity that pulls us together. He looks at examples of how having a common challenge pulls groups of people together in ways that we don’t tend to see otherwise. Obviously, as leaders, we don’t want to be going out and creating crises, but through our actions, we can create conditions where people pull together for the common good. Ethical leaders are people who bring out the best in others and empower them to make a positive difference in the world. Differences both large and small. To do that we need some skills and commitments. And drawing on the Greek perspective for character development, we call those skills and commitments virtues; qualities within us that we can cultivate in order to be the person who brings out the best in others. We build those virtues by being aware of them, by guiding our actions in accordance with them, and by reflecting on our experiences and learn from successes and failures. This is something you can best achieve by forming relationships with others, helping them to observe their achievements and correct their failures and vice versa.